Radiohead headlined Argentina's Tecnópolis Festival this past weekend, ironically running into some technical difficulties during their set. Midway through the band's performance, a barrier collapsed in the crowd and forced a delay in the set. 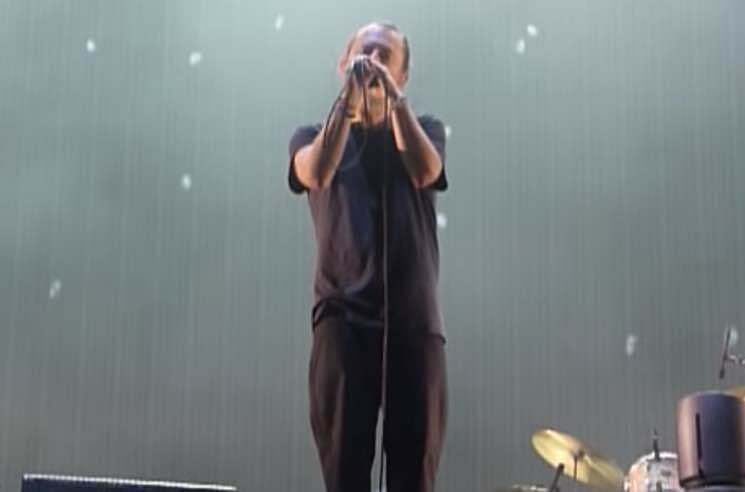 Rather than heading backstage for a breather, though, frontman Thom Yorke kept the audience entertained with an a cappella rendition of Hail to the Thief track "The Gloaming." Watch fan-shot footage of the simple, stripped-down performance below. See Radiohead's upcoming North American summer tour dates here.